A quick view of the most influential metrics in Kilauea. Kilauea, Hawaii is a small town in Kaua'i County on the northeastern shore of the island, in fact it is the northernmost portion of the Hawaiian Islands. The community spans 1.5 square miles and was once known as the Guava Capital of the World because it was home to the largest guava plantation in the world, Guava Kai Plantation which closed in 2006. Today the local economy depends heavily on the tourist and service industries for stability. In the beginning the area was inhabited by native Hawaiians that survived by catching fix and harvesting taro as well as by trading with other islanders for fruits and vegetables and with whalers that visited their shores. When haoles (non-Polynesians) arrived in the 1700 and 18000s life shifted for the islanders from growing and catching to agribusiness predominantly the growing of sugarcane. The first sugar plantation in the area was established in 1835. The U.S. government signed the Treaty of Reciprocity with the Islands in 1875 establishing free trade between the nations and opening a large market for sugar and other produce from the islands this combined with the building of railroads to transport goods around the island. The communities sweet beginnings have left their mark on the people and traditions of the town. Kilauea is still very much a sugar plantation town, despite the fact that the sugar plantation closed in 1971. According to the United States Census of 2010, Kilauea was home to 2,803 people giving the town a population density of 1,395 people per square mile. 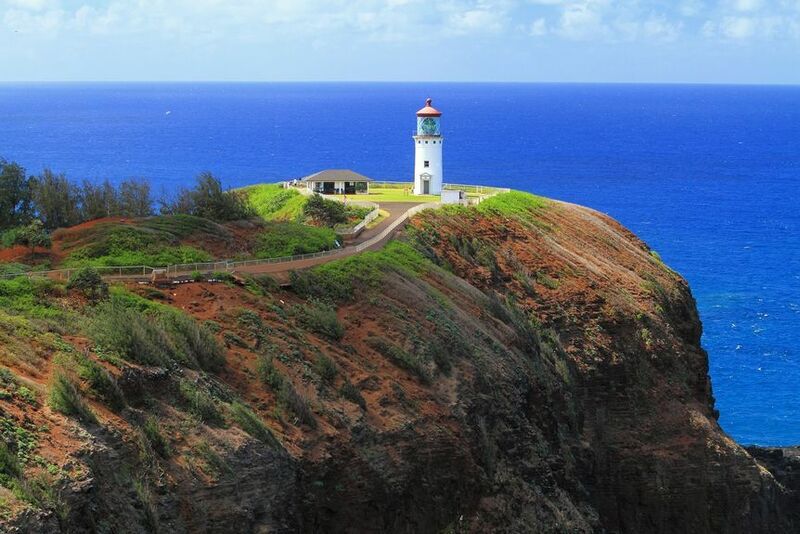 The town has several unique attractions like the town's most famous landmark, Kilauea Lighthouse which was established in 1913 and ceased operations in 1976. Today the light house is open for visitors Monday through Friday for self guided tours. Surrounding the light house is the Kilauea Point National Wildlife Refuge, six species of seabirds visit the refuge on their annual visitation. Two other favorite stops for locals and visitors alike is the historic Guava Kai Plantation and Banana Joe's Fruitstand, in sweet treats await at both like fresh fruit and guava juice. Homes for sale in Kilauea range from small starter homes up through luxury island homes. Other real estate options include apartments and condominiums aimed at serving the needs of the tourist community. These lodgings have many wonderful amenities to make people feel at home. Whether you need a vacation home or a year round residence the home of your dreams awaits in beautiful Kilauea and local real estate agents await to help you find it. Explore your options in Kilauea today and find a place to call home at this island paradise. Explore Kilauea real estate listings with Kauai Real Estate Solutions. Jim Karlovsky – Kauai’s professional real estate agent – will help you find the ideal luxury residential and agricultural properties for sale in Kilauea. Whether you need a temporary vacation home or a year-round residence, we will provide you with home of your dreams in the beautiful Kilauea. View our selection of available properties in the Kilauea area. Check out the latest demographic information available for Kilauea. Browse through the top rated businesses in the most popular categories Kilauea has to offer.